SKU: 32822818172. Category: T-Shirts. 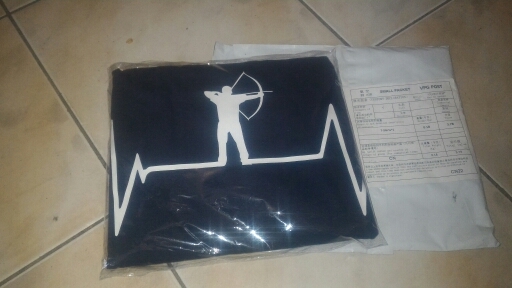 Tags: archery, arrow, bow, Cotton, Heartbeat, Shirt, T-Shirt. The Archery District Full Bracer provides maximum coverage for maximum protection. Recommended for beginners to expert archers with its high quality PU leather and embellished with brass plated eyelets. With the sleek beautiful design you may have more than just the world watching as you fire your arrow. Limit 1 Per Order. While Quantities Last.